"The Rialto Bridge in Venice, or Ponte di Rialto, is now the oldest bridge and one of only four bridges to cross the Grand Canal"
If I tell you the Rialto Bridge in Venice is one of the top attractions in this city, it will probably sound like just another cliché. 1) walk towards it from Piazza San Marco down the narrow Mercerie street, caught in a sluggish line of tourists who are taking photos along the way and stopping to look at shop windows. 2) get onto the bridge and try to find a decent spot to take some photos of the Venice Grand Canal from it. When starting your day from Piazza San Marco, walk under the arch of the Clock Tower and simply follow the crowd. Should you ever be in doubt, look up and at the corners of almost every building you will see a yellow sign with an arrow pointing you towards the bridge of Rialto. 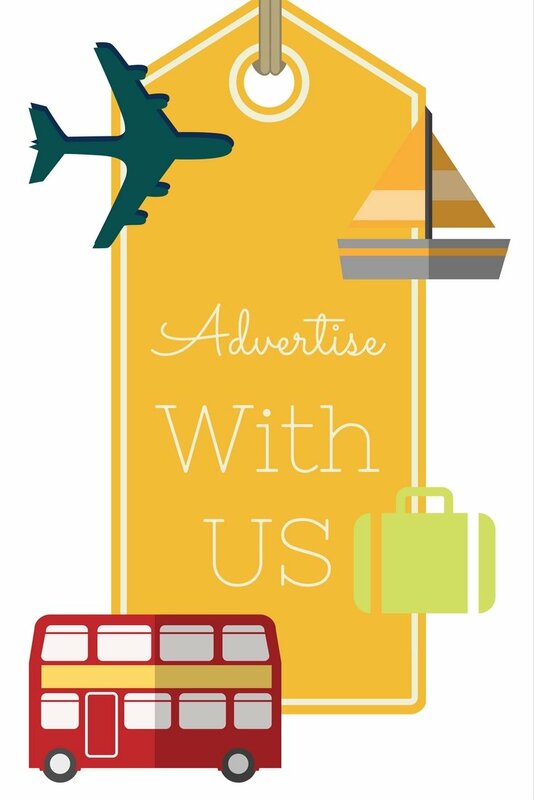 Do the same if you’re walking into Venice from your cruise ship terminal (don't forget to use the Venice people mover). You will start seeing Rialto signs and arrows from around the Piazzale Roma area. While for us tourists and Mediterranean cruisers Rialto is one of the landmarks, for Venetians it is a practical means of crossing the Grand Canal and reaching the Rialto area, which is not just the heart of the city but its belly too! The area around the Rialto Bridge in Venice was the first one to develop - it was settled by the 9th Century. It became even more important when a market moved here in the 11th Ct. 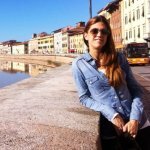 Since then it has been a commercial hub of the city, while Piazza San Marco was a governmental and religious center. In the past, the Rialto bridge in Venice area was a harbor where barrels and boxes from foreign lands were offloaded, full of spices, silk fabrics, oriental perfumes and precious and semi-precious stones. This is where they were traded too, together with vegetables, fruits and fish. And this is how the area, more or less, still looks today. If you manage to get off your Mediterranean cruise ship very early in the morning and get here quickly, you might be lucky to catch the fruit and vegetable stalls as well as the fish market. 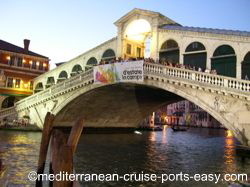 The Rialto Bridge, or Ponte di Rialto, is now the oldest bridge and one of only four bridges to cross the Grand Canal. 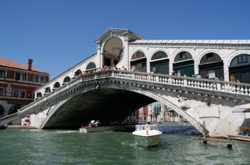 Until 1854, the Rialto Bridge in Venice was the only bridge on the Grand Canal! But it took the Venetians four centuries to build a bridge that would stay as long as this one! The first bridge on the same spot was a pontoon bridge built in the 12th Ct. Soon, this bridge wasn’t enough to handle all the traffic so it was replaced by a wooden bridge in the 13th Ct. In the 15th Ct. that bridge had rows of shops built on both sides, the look later copied in the stone Rialto bridge in Venice of today. Curiously, in 1444, that bridge collapsed, full of people watching a parade on it. Some 80 years later, it happened again. There was no doubt… Venice needed a bridge much better than that. Funds needed to build the bridge were collected from different sources, and one of them was even a lottery. At that time, building a single-span bridge in stone was considered so brave that the bridge was often the target of many a sceptic comment and bet. It took 3 years to build it and approximately 10,000 pillars were used to support its foundations. While being built, many had predicted to see it crumble into the Grand Canal in pieces. However, that never happened in their lifetime, neither in that of their great grand kids. And most likely, nor will it happen in your or my lifetime. If they could only have seen it, they would have been astonished to witness the Rialto bridge in Venice, Italy standing firm today… carrying millions of tourists from one side of Venice to the other, and becoming one of the most famous attractions of the world. Among many famous architects and artists of the time, one of the contenders considered for the design of the stone Rialto Bridge was Michelangelo! It’s not that his design wasn’t good enough, but by the time Venice got the funds to actually build the bridge, he was already dead! it is a busy and fun area with lots of touristy knick-knack shops and stalls. The bridge is divided into 3 areas: its 2 narrow side walkways and the wider central walkway. You will take the southern walkway if you would like to enjoy the Venice Grand Canal views, although it may sometimes take you some time to win your own spot from which to take photos and observe. The northern walkway opens up to the canal bend which blocks the view of the Grand Canal so it’s not as popular as the southern one. The central walkway is lined up with arcades and souvenir shops that block the view of the canal aswell. Actually, it looks like you’re just walking up or down one of the streets. The best view of the bridge itself will be from one of the little areas of the pavement at its base. There is even a few touristy cafes/restaurants there. Although the bridge looks like 2 ramps connected with a small flat part in the middle, it is full of flights of small steps! So, if you were planning to propose here or just make it a romantic setting for you and that someone special… you can either forget about it, or make sure you come here much much later during the day, preferably at night! Rialto Bridge in Venice definitely is one of the must see sights in Venice but once you do see it, experience it and take a few shots of it… keep on going, there’s so much more to see! CANALS OF VENICE - HOW TO EXPLORE AND WHERE TO GET THE BEST PHOTOS. VENICE GRAND CANAL FOR CRUISERS.